In 1984 their first single Big in Japan and the songs that followed, together with their debut album Forever Young made the band one of the most successful German groups of the 1980s. Inspired by New Wave acts like Ultravox! and OMD, Marian Gold first met with Bernhard Lloyd and Frank Mertens in Berlin in late 1981. A few months later and after moving from Berlin to the rural idyll of Münster they set up Alphaville which took its name from the eponymous film by Jean-Luc Godard. The first sound they produced was reckless juvenile Synth Pop that chimed in perfectly with the mood of the early 80s. In 1984 their first single Big in Japan and the songs that followed, together with their debut album Forever Young made the band one of the most successful German groups of the 1980s. Their meteoric rise to fame had its first casualty: in 1985 Frank Mertens finally had enough of all the media attention and left the band. Thereupon Rick Echolette took his place. With their following albums Afternoons in Utopia, The Breathtaking Blue and the 1994 Prostitute, the band moved away from straightforward pop songs to embrace more complex musical structures. At the same time Gold developed into a versatile singer whose style and stage presence increasingly evoked that of his idols like Scott Walker, Billy MacKenzie and Freddy Mercury. 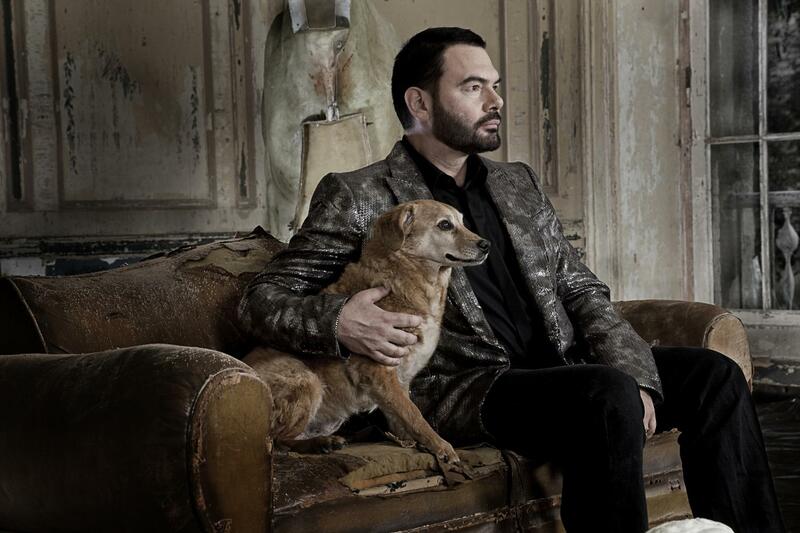 After a three year break with two solo albums (So Long Celeste and United) by Gold and after Echolette’s departure, Alphaville staged a comeback in 1997 with their fifth album Salvation, which marked a return to the sound of their beginnings. That was followed in 1999 by Dreamscapes, a mammoth compilation of 8 CDs tracing the band’s musical development of the past 20 years. Their 2000 world tour produced the band’s first concert album Stark Naked and Absolutely Live. In 2001-2002 Alphaville – which now featured Marian Gold and Briton keyboarder-producer Martin Lister – moved the whole of their “then-current” production onto the internet where an online audience could follow the genesis of their songs from the first embryonic stages to the final finished production. This move gave birth to the CrazyShow album which saw its release in February 2003. 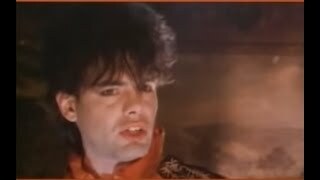 The following years Alphaville focused on touring while Gold was involved in a couple of side projects with longtime friend Klaus Schulze Ex-Tangerine Dream). 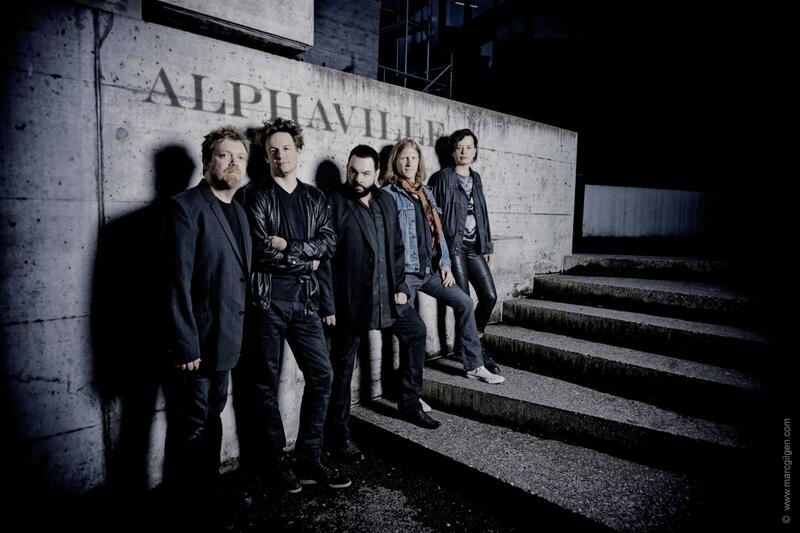 In 2009 Alphaville switched from their previous record company Warner Brothers to Universal Music. The band, nowadays consisting next to Gold of Martin Lister (keyboards), David Goodes (guitars) and Jakob Kiersch (drums) is working on the band’s next release, working title Catching Rays On Giant, which has been released in November 2010.